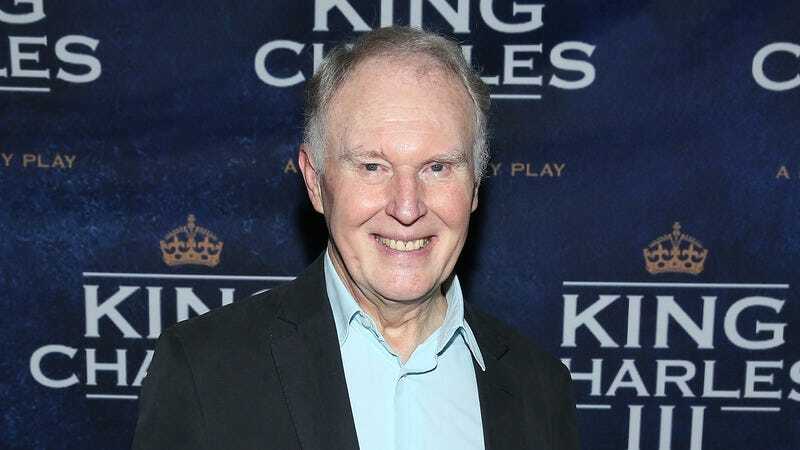 As reported by Variety, British actor Tim Pigott-Smith died last week on April 7. Variety doesn’t have a cause of death, but Pigott-Smith was set to play Willy Loman in a touring production of Death Of A Salesman that was supposed to open this week, so his death was apparently unexpected. Pigott-Smith was 70. In England, Pigott-Smith had a long and successful career with memorable appearances in everything from The Hour, The Chief, and a handful of original Doctor Who episodes in the ‘70s. However, he was probably best known for playing Police Superintendent Ronald Merrick in the 1984 series The Jewel In The Crown, which told stories about the final days of the British Raj in India after World War II—a role that earned Pigott-Smith a Best Actor award at the BAFTAs in 1985. Here in the United States, Pigott-Smith is better known for his movie roles. He played stuffy Englishman Lord Ascot in Tim Burton’s Alice In Wonderland, he played a surly government official with little faith in James Bond in Quantum Of Solace, and he had a minor role in Gangs Of New York. His most memorable role, though, was as Peter Creedy, the cold-blooded leader of the secret police in V For Vendetta. As a man who took some measure of delight in personally beating people on behalf of his fascist government, Creedy was essentially the main antagonist of the film and a character who represented nearly everything that masked anarchist vigilante V stood against. Pigott-Smith is survived by his wife—who was set to appear alongside him in Death Of A Salesman—and his son.